Occupational Therapy is offered at Globe Star’s South Bend office location, home to a professionally designed and well-equipped Multi-Sensory Environment room that was completed and certified in 2016, with thanks to TFH, a renowned, international organization that designs and installs multi-sensory environments. We love what we do! New clients are welcome to learn more about the benefits of MSE applications and integrations for educational, recreational, and therapeutic goals that enrich one’s quality of life. 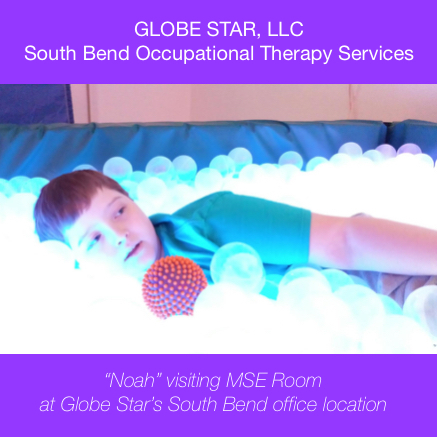 Onsite OTR, Joann Scheetz, is available for consultation and to schedule time with Individuals and their caregivers or families for OT services at Globe Star’s Multi-Sensory Environment in South Bend, located at 935 S. Ironwood Drive. Payment options can be managed through private pay, Medicaid or Medicaid waiver services. The South Bend MSE Room is a uniquely designed space, incorporating authoritative international standards and renowned leadership for multi-sensory, experiential processes, primarily benefitting people with autism and other disabilities that include dementia, intellectual disabilities, hyperactivity, hearing impairment, visual impairment, children’s perception/sensory disorder and/or disturbed social behavior. All of Globe Star’s Quality of Life services and programs are CARF-accredited, and offer a variety of multi-sensory modules. 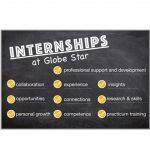 Globe Star was established in 1996 as a Gentle Teaching-based, direct provider of human services for Individuals with Intellectual and Developmental Disabilities. All staff/providers are trained and mentored in how to build relationships with individuals that cultivate companionship and a sense of community. Relationship-building is focused on creating connections, recognizing value and creating meaning. The relationship itself becomes the vehicle for learning processes that result in one’s social-emotional awareness and development. GLOBE STAR, LLC has central office locations serving counties and communities throughout Indiana, including Chesterton, Indianapolis, Warsaw, South Bend, Lafayette, New Albany, and Terra Haute.